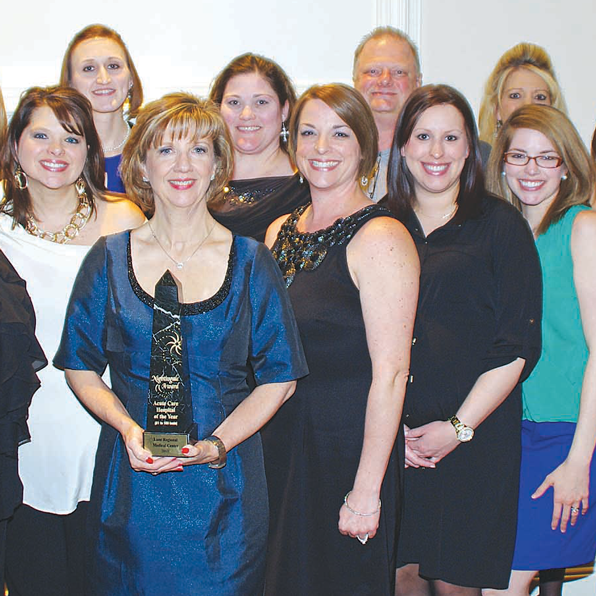 ZACHARY — Lane Regional Medical Center was named “2013 Acute Care Hospital of the Year” (61-160 beds) at the 12th Annual Nightingale Awards held on Feb. 16 at the Crowne Plaza Hotel in Baton Rouge. This is the first time the hospital has received this award. The annual Nightingale Awards are sponsored by the Louisiana Nurses Foundation and the Louisiana State Nurses Association to recognize excellence in nursing and quality service in the nursing and healthcare industry. • Support of nursing participation in professional organizations. “Lane Regional Medical Center seeks to provide progressive, competent, and caring healthcare service to the patients we serve,” said Jennifer Johnson, Chief Nursing Officer.